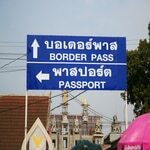 Overstaying In Thailand – Visa Overstays Whats It Cost ? 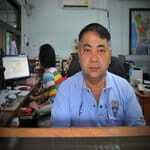 Thai Visa Express is aware that some foreigners have visa overstay issues. We understand the possible reasons and consequences of this type of occurrence, and we want to share the knowledge with you. We will help you find the right solution to the problem. You must in all cases immediately report to your nearest immigration office and make them aware of your overstay in some cases you can pay a fine and clear the matter immediately. In some cases if your overstay is more than 60 days this can lead to detention & removal from Thailand, if you have overstayed your visa in Thailand we may in some cases be able to assist you call 0801022328 for free advice today. It is important that you do not panic whenever you find yourself in an visa overstay situation. Everybody makes mistakes, and there are possible solutions to every problem. We are here to help you navigate through your options. Here are the answers to some of the most frequently asked questions about overstaying in Thailand. How can I clear my Visa overstay case? Overstaying is technically illegal, but it is not a major criminal offence in Thailand but in some cases it can be far more serious. You can in some cases just pay your fine a the airport or the point of exit from Thailand. You can go to prison if you are caught by an immigration officer & in some cases even jailed fined & deported from Thailand.To resolve the problem, the Immigration officer in Thailand allows those who have a visa overstay to pay the fine. After that, you can go back to your normal life and stay in the country as long as you have the correct visa. How much will I pay for overstaying? That depends on the number of days you overstayed in Thailand. The minimum charge is 500 baht per day and the maximum is 20,000 baht if you overstayed for 40 or more days. You should in all cases contact immigration they will advise on the best course of action we have no influence at all in any overstay matter. Thailand Introduces New Overstay Rules ! Respect the Immigration rules in Thailand & you will have no issues at all – expect further announcements. As from 2016 stiffer penalties for anybody caught with an overstay in Thailand are to be introduced as announced in the Bangkok post tough new rules New and tougher penalties for visa overstays have been approved by the Interior Ministry and will now be considered by Prime Minister Prayut Chan-o-cha. Under the rules announced these include offenders who turn themselves in will be banned for 1 year if the illegal stay is over 90 days.The ban is extended to 3 years if the overstay is over 1 year, for those who cant pay the fine they will be imprisoned this is equal to 200 baht per day. Anybody arrested will be banned for 5 years if the visa overstay in Thailand is under 1 year, anything over this amount is a 10 year ban from the kingdom.